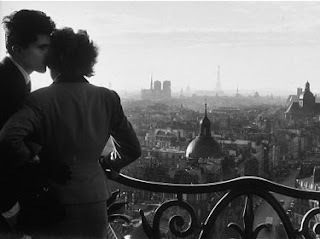 I wasn't doing this blog when Willy Ronis died last year. So I thought I should add a few words before too much more time had passed. Mike Johnson from the Online Photographer did an article at the time of his passing. I urge readers to have a look. I think Willy Ronis and the humanist photographers were onto something. You can record almost any scene with a camera, but what causes the viewers to relate is to see things in human terms and in human scale; and, as importantly, to have it recorded with compassion and empathy. It can be easy to photograph the bizarre and the strange, but I don't think that it strikes the chord that the humanists sought.